#MayMac Press Tour, Penultimate Stop, Brooklyn, NY. After the amazing show put on in Toronto, Brooklyn had a tough act to follow and it ultimately came up short. It began two hours late as both fighters tried to make each other wait and no one wanting to give in. When it finally got started, one thing you could notice immediately was the crowd was a bit flat. When the CEO of Showtime Boxing spoke at the beginning he was greeted with jeers but to be fair to him he seemed to embrace the hostility and wasn’t as nervous as he was in Toronto the night before. This was as loud as the crowd would get. This may have made things worse so it will be interesting to see how that comment is taken given the context surrounding it.
. Shortly after things nearly got out of hand when Mayweather signalled to his bodyguards to surround McGregor to which they obliged. Then McGregor’s bodyguards stood in and there was a scuffle and all the while Mayweather was shadow boxing on the stage. These antics weren’t appreciated by the crowd who began chanting,”pu$$y, pu$$y” . 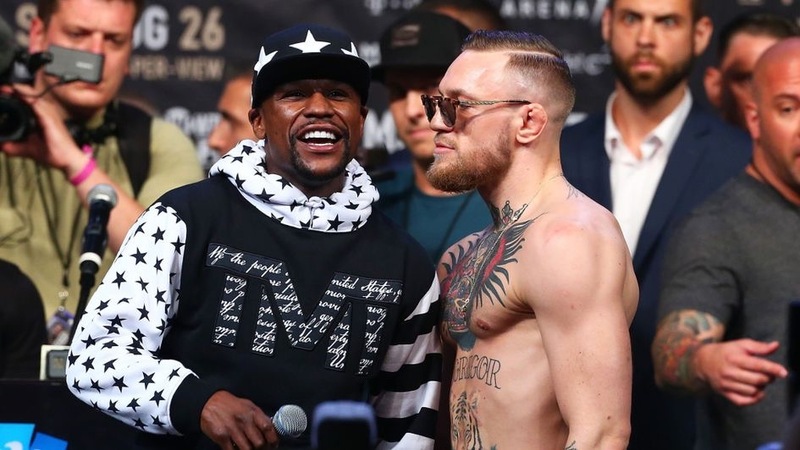 The press conference ended with a face off and McGregor seemed angrier of the two as he was still livid over the bodyguards surrounding him. Behind the fighters were their bodyguards who were also taunting and insulting each other. The tension on the stage on final night of the world tour will be intense. The third press conference in Brooklyn lacked the same intensity as the previous two which shows the fighters are probably getting tired and running out of material. Neither fighter covered themselves in glory in Brooklyn so let’s hope London will see a return to form for both guys. 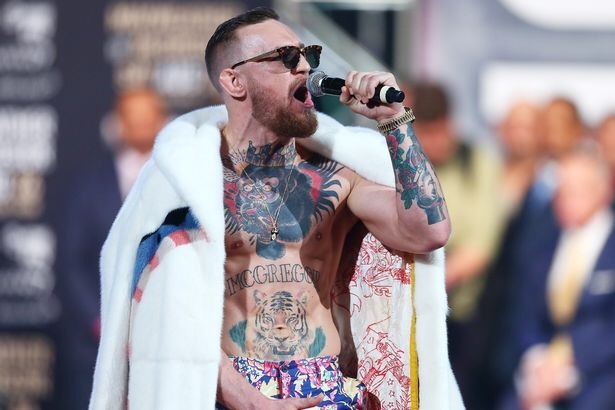 Seeing as it is McGregor’s birthday and the London crowd will be electric and largely on his side, this energy should reinvigorate him.